Now we have wifi we can send pictures. 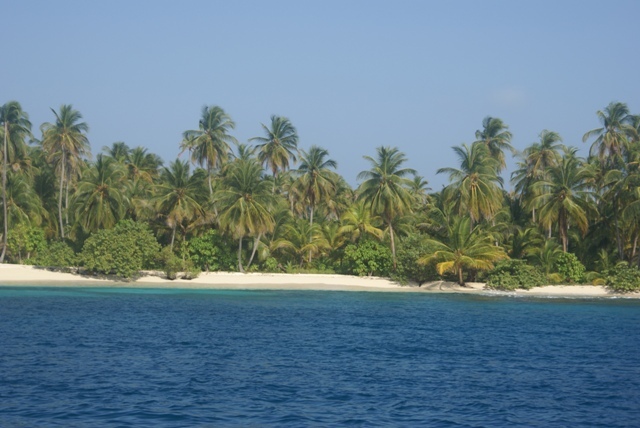 These are a few of the San Blas Islands. 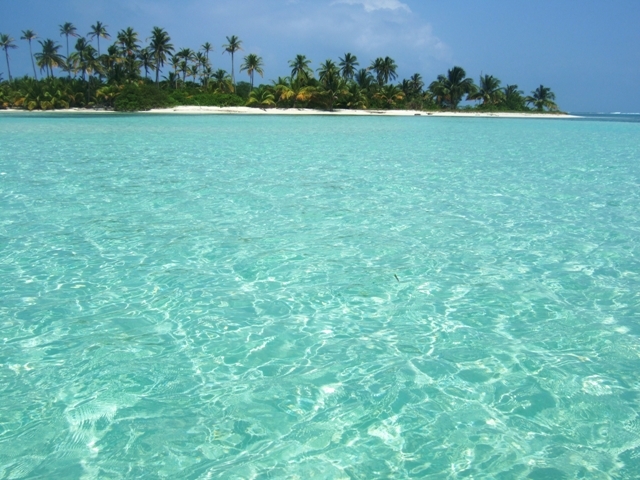 There are over 300 islands scattered along the coast in groups around cays or reefs. 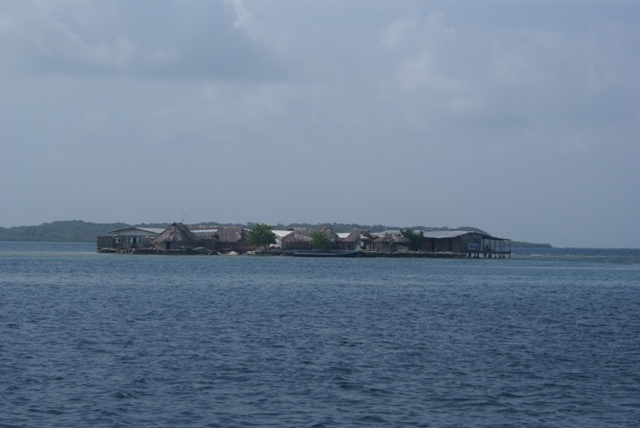 The Kuna Indians live on quite a number of the islands, but mostly those close to the mainland where they get a lot of their food and building material from. 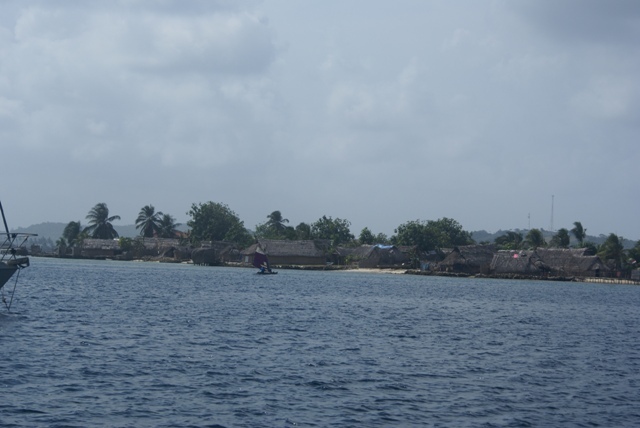 Some islands have huts shore to shore, others may just have a few. The Western Holandes. 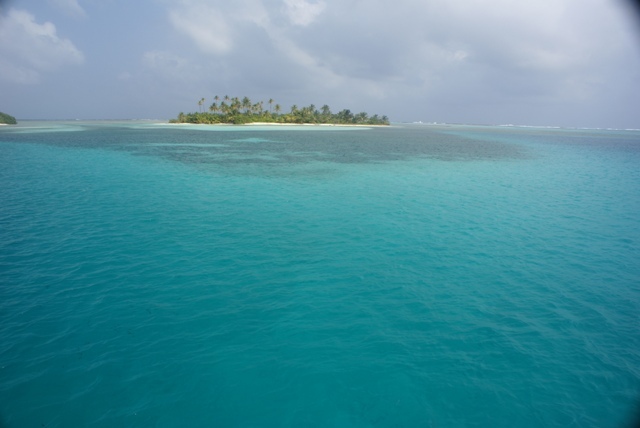 Our first landfall in the San Blas Islands - anchored in 50+ feet of water, it gets deep very quickly! It's thick with palms and uninhabited. Eastern Holandes. A lovely colour, but very few fish. We think the Kuna Indians must have over fished the area. 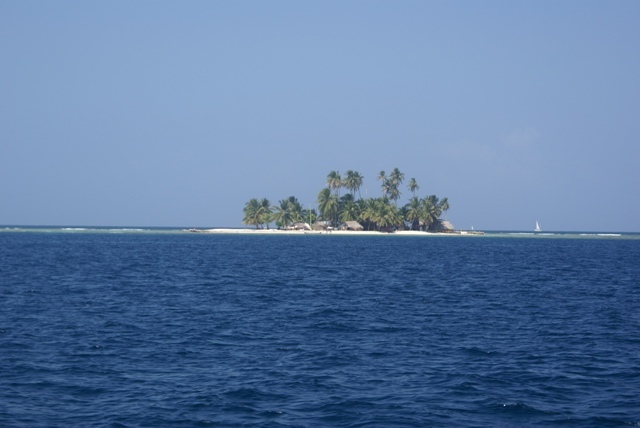 In the Holandes group there are about 20 separate islands, all connected by a 7 mile long outer reef. The colour of the sea was a bit special. You can just see the breakers on the outer reef. 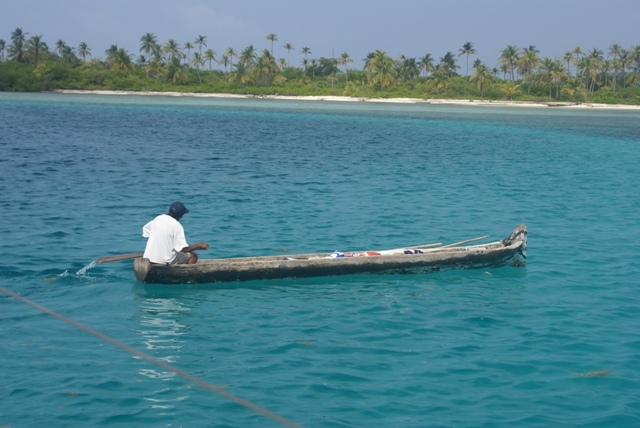 One of the islands close to Porvenir (where we had to check in), with a few inhabitants. Once behind the islands there is little swell and the sea just has a wind blown chop on it. 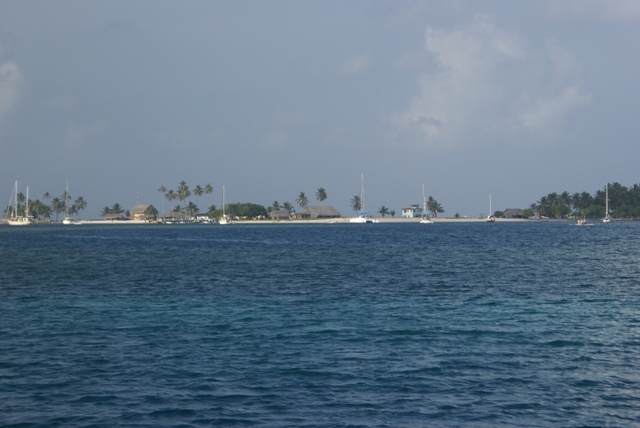 to increase the height of the islands. 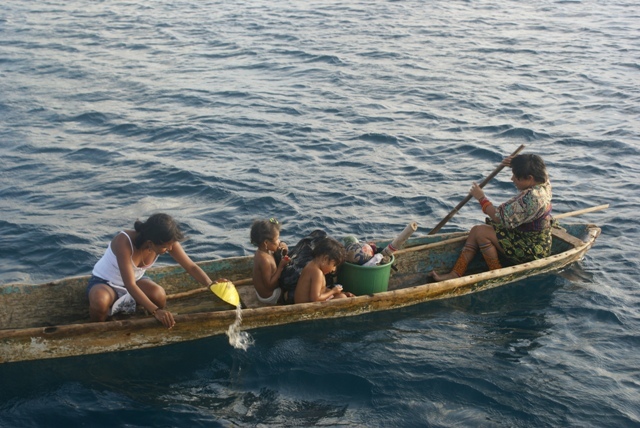 One of the Kunas paddling out to the reef to go fishing. are famous for). The canoes have to be bailed out at regular intervals. 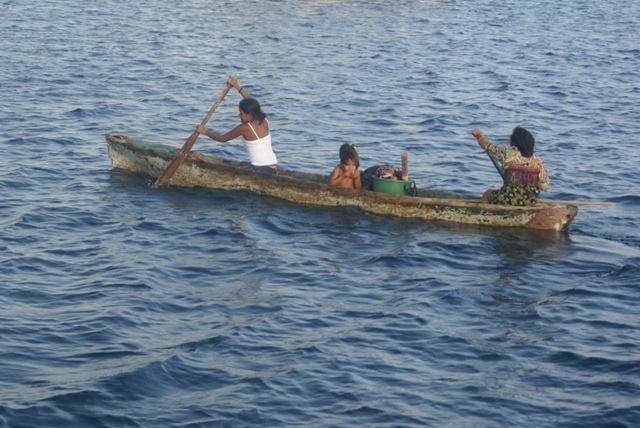 Paddling away after a successful sale - we bought 2 molas! every day or so) come in just above the water before touching down. eyeball navigation. 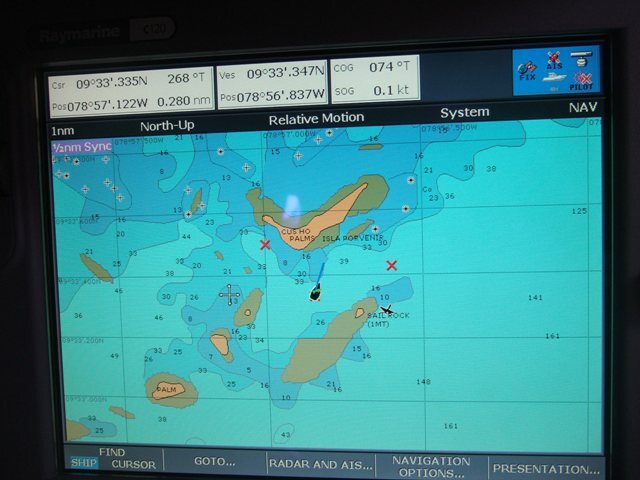 Never like having a reef just behind us!